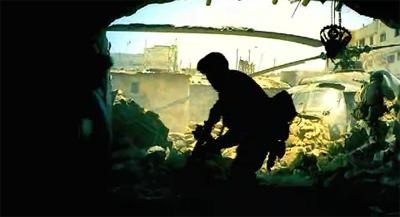 Little more needs to be added to the above citations about the actions of MSG Gordon and SFC Shughart, which were depicted in Black Hawk Down almost exactly as written. In the early 1990s, warring factions in Somalia brought about a famine in that country which eventually led to the starvation deaths of hundreds of thousands of Somalis. US military forces were among those sent in by the United Nations in 1992 to relieve the famine, but food distribution was hampered and at times halted by interference from the most powerful Somali warlord, Mohamed Farrah Aidid. 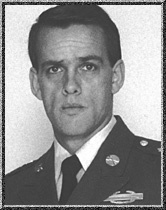 An ambush by Aidid's militia in June 1993, which killed over 20 Pakistani soldiers from the UN force, prompted the United States to deploy a Special Operations Command task force of US Army Rangers and Delta Force commandos to the Somali capital of Mogadishu, where they began conducting raids on suspected headquarters and hideouts of Aidid and his lieutenants in August. The operation on 3 October was the sixth such raid; the plan was for approximately 130 Rangers and commandos to be inserted by helicopter into the immediate area of the building where several of Aidid's top assistants were reportedly meeting, which was deep inside the section of Mogadishu controlled by Aidid's militia; the Delta Force would raid the building while the Rangers secured the area; a convoy of Humvees and trucks would then drive from the task force base camp at the Mogadishu airport, a distance of approximately 3 miles, to the site of the raid to extract the task force and its prisoners. [A request by the task force commander, Maj Gen William F. Garrison (played in the film by Sam Shepard), for armored Bradley Fighting Vehicles to be used in place of these thin-skinned vehicles, was turned down by Secretary of Defense Les Aspin as being "too high-profile" a military force.] The operation, started in mid-afternoon, was expected to last approximately one hour, and most of the task force brought no night vision devices and a minimal supply of water. 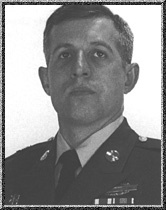 Gordon, Shughart and a third sniper were to remain airborne on a UH-60 Blackhawk providing covering fire. The commandos succeeded in capturing two of Aidid's top lieutenants and about a dozen other men of his militia headquarters, but problems began to plague the mission shortly thereafter as thousands more of Aidid's militia began to gather around the site of the raid and to throw up roadblocks and ambushes in the intersections and narrow city streets along the route of the vehicle convoys. As the main body of the convoy became hopelessly delayed, one Blackhawk was shot down by a rocket propelled grenade (RPG) and crashed several blocks from the site of the original raid. 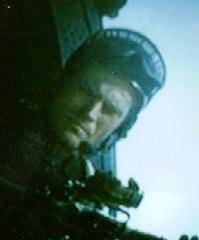 As several sections of the raiding party and the convoy attempted to make their way to the crash site, a second Blackhawk, this one piloted by Chief Warrant Officer Michael Durant, was hit. Durant attempted to make his way back to the airport but the Blackhawk crashed in the street approximately a mile away from the raid site and the first crash site, severely injuring Durant and his three crewmen. Watching from their own Blackhawk as hundreds more hostile militia converged on the wreckage, and knowing that no immediate help was on the way, Gordon and Shughart repeatedly requested permission to be lowered onto the crash site. After finally being allowed to do so, they reached the wreckage under heavy fire, pulled out the four crewmen and set up a defensive perimeter in the nearby shanties against the armed mob of militiamen converging on them. Of these six Americans, only Durant survived to be captured alive and severely beaten. In what is now one of the most infamous TV news images in history, the bodies of two of the crewmen were stripped and dragged through the streets the next day. The remainder of the raiding party similarly fought off hordes of armed militia for the next 15 hours at and around the first crash site, while the main body of the convoy pulled back and then waited for reinforcements and armored vehicle support from the main UN force before finally breaking through. In addition to Gordon, Shughart and the three Blackhawk crewmen, 14 other Americans were killed and 73 others wounded. The Somalis suffered approximately 500 dead and at least as many more wounded. Durant was held captive for 11 days until the former US Ambassador to Somalia returned with a message of "friendly advice" to be relayed to Aidid that more military action would follow unless Durant was released. 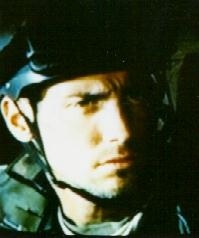 The authors were, quite frankly, rather wary when we learned that Black Hawk Down was being produced by Jerry Bruckheimer and would star Josh Harnett and Tom Sizemore, all three of whom were involved in the same way with the film Pearl Harbor, which we have placed in the Hollywood Abominations category. We were pleasantly surprised to see that this film was technically very accurate and quite faithful to the original Philadelphia Inquirer feature series and book written by Mark Bowden, and actually ranks up there with Gettysburg and Thirty Seconds Over Tokyo in accuracy and faithfulness to the original written work; special kudos should be given to director Ridley Scott and to screenwriters Ken Nolan and Steve Zaillian for this accomplishment, and Messrs Bruckheimer, Hartnett and Sizemore have atoned somewhat for their compicity in the earlier work with this one. The depiction of Gordon's and Shughart's acts of heroism comprised perhaps 10 minutes out of a 2 1/2 hour movie (roughly the same proportion of time as the Medal of Honor-earning acts of Theodore Roosevelt Jr. in The Longest Day) but their acts were arguably the most intense, gut-wrenching and heartbreaking portion of a rather intense and gut-wrenching movie.